The level of industry expertise and experience at APL is probably second to none in the plastics sector. There are many team members who have worked with APL for decades – even three! – and the business benefits hugely from both their knowledge of the injection moulding industry and their loyalty. We are also lucky enough to have a thriving young population locally, many of whom are highly educated. As a key employer in the area, APL is fortunate to have access to a motivated, experienced and dedicated team. Al Lawless, B.Sc. (Eng) M.I.E.I. Throughout his years at senior school and college, Al worked in several Departments of APL, the family business, on a part-time basis. Having studied at the internationally acclaimed Dublin Institute of Technology, Bolton St Al graduated at the age of 21 with an Honours B.Sc. Manufacturing Engineering Degree awarded by Trinity College, Dublin. He went on to work in LMH Engineering for 18 months before he joined APL in 1997 as a manufacturing engineer . He was subsequently appointed as Engineering Manager until 2006 when he became Managing Director, taking over the reins from his father, who founded the injection moulding company. Al secured a degree in Manufacturing Engineering from Bolton St in 1996 and he has completed a Business Development course with the IMI. 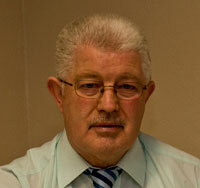 Al is pro-active in terms of Health and Safety at APL and he has a First Aid qualification. He has completed a number of other short courses, including SPC and Team Building skills. Al has two wonderful children, he enjoys a game of golf and plays 5 aside soccer occasionally. 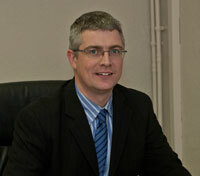 Kevin Fitzgerald LCGI, GCTS, Dip WP, Dip MIR, N.Dip BSGeneral ManagerKevin has been with A.P.L. since 1991. He previously held the position of Director on Manufacturing with Bomont Plastics Irl. Ltd. which was a plastics manufacturing company based in Carrick-on-Suir Co. Tipperary. He was also the Maintenance Manager of Noritake/ Arklow Pottery, a home-ware manufacturer based in Arklow, Co. Wicklow.Kevin holds the following qualifications: Licentiateship from the City & Guilds of London (C&G); National Diploma in Business Studies ((HETAC); Diploma in Management & Industrial Relations (NCIR); Diploma in Workplace Psychology (ASET); Diploma in Theology (DCU); Electrical Engineering Technician Certificate (C&G); Certificate in Quality Control (C&G); Certificate in Personnel Practice (IPM).Kevin has overseen significant growth and development in Automatic Plastics over the years and has helped it to become one of the primary custom trade moulders in IrelandPersonal details: Kevin is a member of the Arklow Shipping Silver Band who represented Ireland in the European Brass Band Championship on 6 occasions.He and his wife Geraldine have been foster parents for the past 15 years and have 5 children currently in their care. Paula Menton Dip. IIPMMMaterials ManagerPaula has over 19 years experience in the plastics manufacturing industry, starting out in A.P.L. in 1990 in the shipping dept. 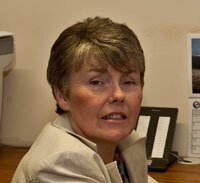 She received her Diploma in Purchasing and Materials Management in 1996 and took on the role of Purchasing Manager. She progressed to become Materials Manager, responsible for both shipping and purchasing. 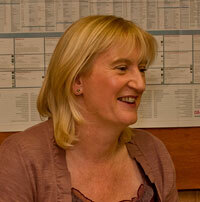 Paula has an excellent team working alongside her who are all long serving employees of A.P.L. and whose motto is to “keep the customer happy”. Paula has built up a good rapport with both suppliers and customers over the years which makes her job highly enjoyable.Paula lives locally and enjoys a challenge on the tennis court. She is very involved with her local musical society. Mark MooneyProduct Design – Tooling ManagerMark joined A.P.L. in 2011. He previously worked in Richard Barrett Moulds, a mould making Company in Bray, co Wicklow for 22 years where he started as an apprentice toolmaker when he Passed Senior Trades Examination worked as a toolmaker before moving into the CNC machining and programming side of toolmaking, he then moved into the design part of the company and completed many courses such as AutoCAD in which he achieved a Certificate from City & Guilds, he studied the Delcam programme package which is a 3D CAD package to design and machine components from prototype to tool design and production. He is currently studying for a B. Engineering in Polymer Processing an online course in conjunction with It-Sligo.A native of Bray , Co Wicklow , Mark lives there with his wife and two kids, he is a keen golfer and enjoys watching Soccer, Rugby and many other sports. 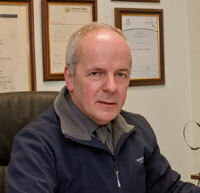 Pat KavanaghQuality Assurance ManagerPat has worked with APL since 1983, when he joined as an operator. 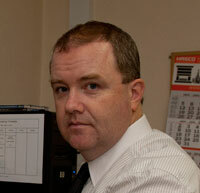 He progressed to become Quality Inspector and in 1990 he was appointed as the Assistant Quality Assurance Manager. In 2003 Pat was appointed Quality Assurance Manager and his focus is to ensure all products are manufactured to customer specifications.Pat has completed several Training courses over the years including training in ISO 9002, Quality Auditor Training and training for the role of Quality Assurance Manager which involves an indepth knowledge of the requirements of QS 9000 & ISO/TS 16949 Standard and the IQMS ERP System.Pat’s interests are photography, nature walks and snooker.